Remove today's tough hard and soft flooring even in tight spaces with the Gladiator 6280HD Hydraulic Walk Behind Scraper. Great for use on ceramic tile, wood floors, sheet vinyl, linoleum, thin-set and more. Ergonomically designed with adjustable hand grips. Six handle positions to accommodate work under racks and in confined spaces. Hydraulic forward drive and self-propelled reverse drive. Can be collapsed for easy transport and storage. Removes ceramic tile, wood floors, thin-set, sheet vinyl, linoleum, and more. Weight: 490 lbs. total, machine only weight 369 lbs., removable front is 78 lbs., removable side is 43 lbs. Meets the requirements of the Machine Directive 2006/42/EC and EMC Directive 2004/108/EC. It is CE marked. I'm trying to get a quote for this scraper. Including shipping, the zip code is 11040. What is the availability? 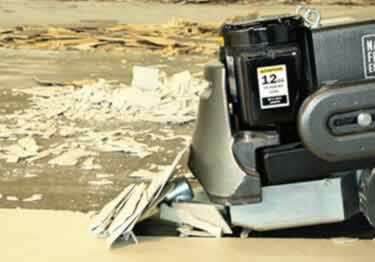 Remove today''s tough hard and soft flooring even in tight spaces with the Gladiator 6280HD Hydraulic Walk Behind Scraper. Great for use on ceramic tile, wood floors, sheet vinyl, linoleum, thin-set and more. Hydraulic forward drive and self-propelled reverse drive.